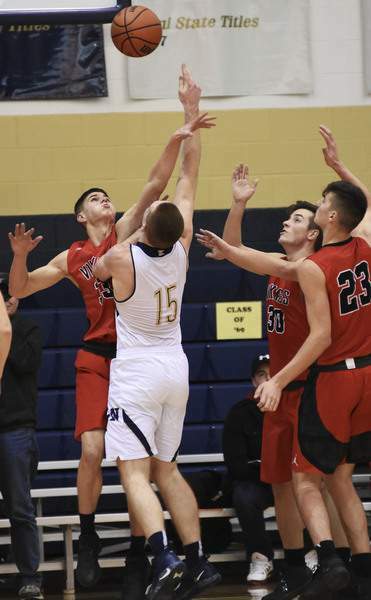 Katie Fyfe | The Journal Gazette Norwell junior Will Geiger shoots the ball while Huntington North seniors Zach Daugherty, Trey Williams, and Sawyer Stoltz try to stop him during the second quarter at Norwell on Friday. 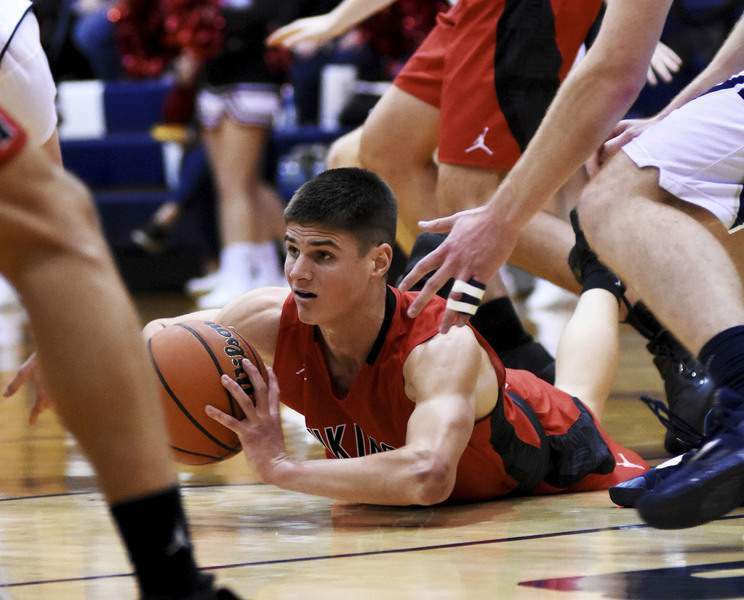 Katie Fyfe | The Journal Gazette Huntington North senior Zach Daugherty slides to the ground and retrieves the ball during the first quarter against the Norwell Knights at Norwell on Friday. 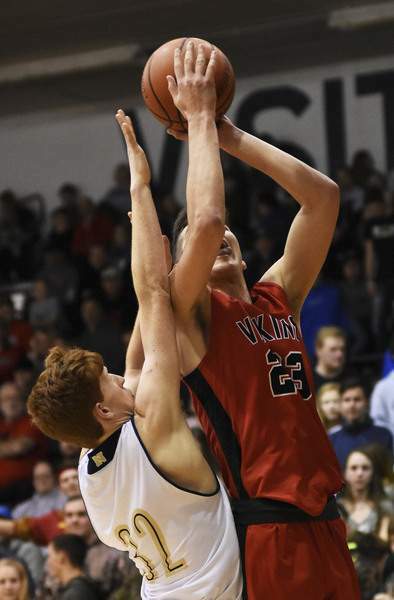 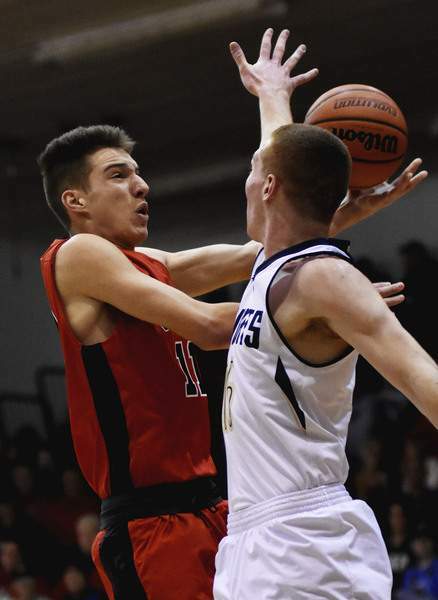 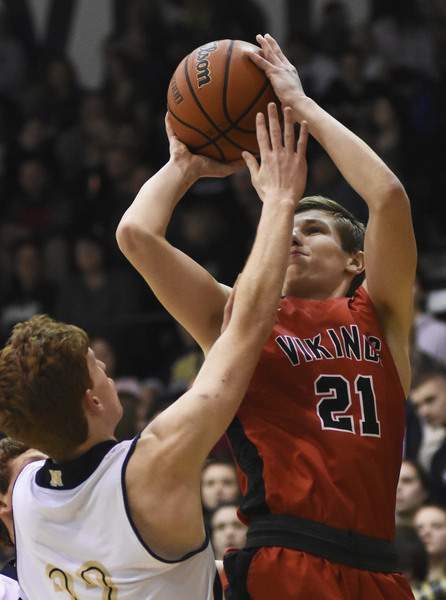 Katie Fyfe | The Journal Gazette Huntington North senior Hank Pulver shoots the ball while Norwell junior Will Geiger tries to block his shot during the first quarter at Norwell on Friday. 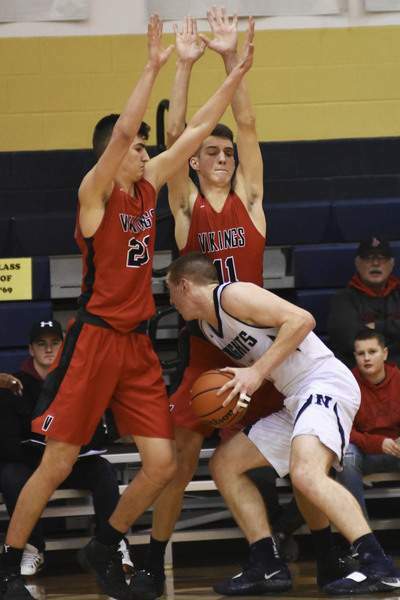 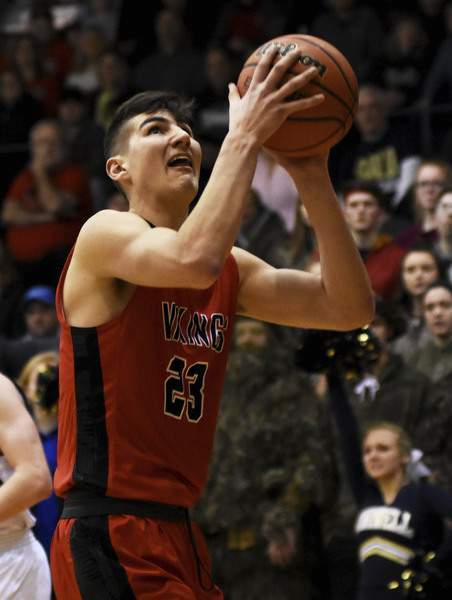 Katie Fyfe | The Journal Gazette Huntington North senior Brett Kaylor shoots the ball while Norwell junior Drew Federspiel tries to stop him during the second quarter at Norwelll on Friday. 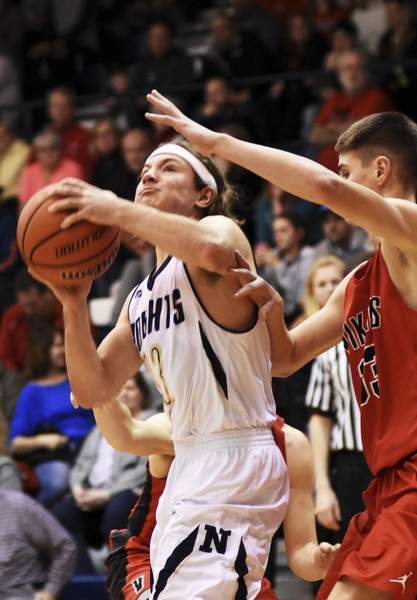 Norwell played host to Huntington North on Friday at Norwell.